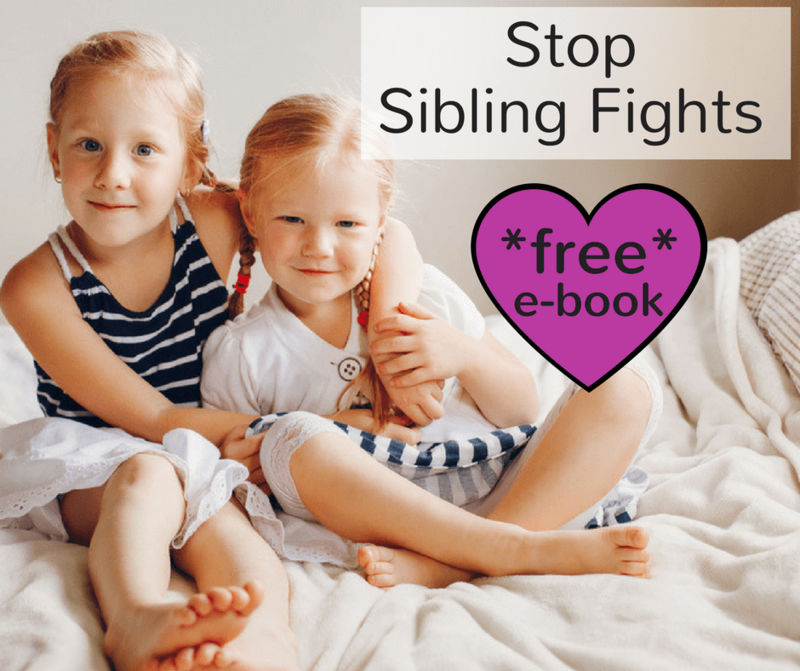 Do you want to reduce sibling fighting? 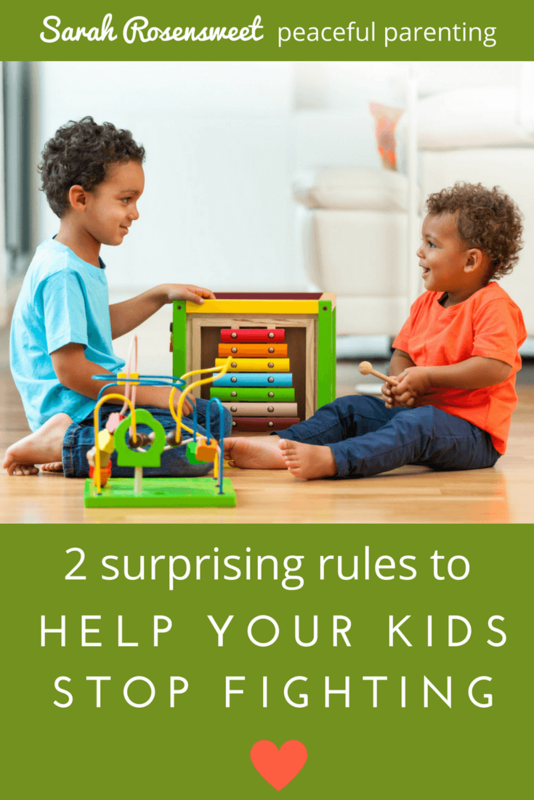 Try this: Your kids don’t have to share and they don’t have to play together. When I share these guidelines with parents they are often surprised. We want our children to be generous and learn how to share. We want our children to be kind and inclusive. The way to get there? Help them preserve their own space and autonomy. Respect their rights to decide what happens with their possessions and play with something til they are done. Imagine you’ve been waiting all day to have a nice hot bath and dive into that novel you’ve been wanting to read. The kids are in bed and you’re all ready to hop in the bath. Just as you are about to get in, your partner shows up in the bathroom and starts insisting you come downstairs and do something with him. You say you don’t want to, but he says if you don’t you’re not being nice. How would you feel? Or maybe you just got a new shirt and you can’t wait to wear it. You wear it to the office and everyone compliments you on it. Then your boss comes up to you and says that his assistant really admired your shirt and that tomorrow you need to bring it for her to wear. It’s her turn. How would you feel? I know both of these scenarios seem really far-fetched, but that’s what we do to children every day. Maybe your son is playing in his room, and his little brother wants to join in. He says “No! I don’t want him to play! He doesn’t know the game and he’ll wreck it.” Most of us would insist that he let his brother play. Some other not great side effects? They feel powerless and disrespected because you are not listening to them. This can lead to power struggles in other areas- “I’ll show her who’s boss!”- or get in the way of resilience- “I won’t be able to do it, why should I even try?” When you don’t listen, it teaches your child to doubt themselves and their ability to be in charge of their own bodies. We always want to try for inclusion first. “Is there a way you can include your brother? He loves playing with you! 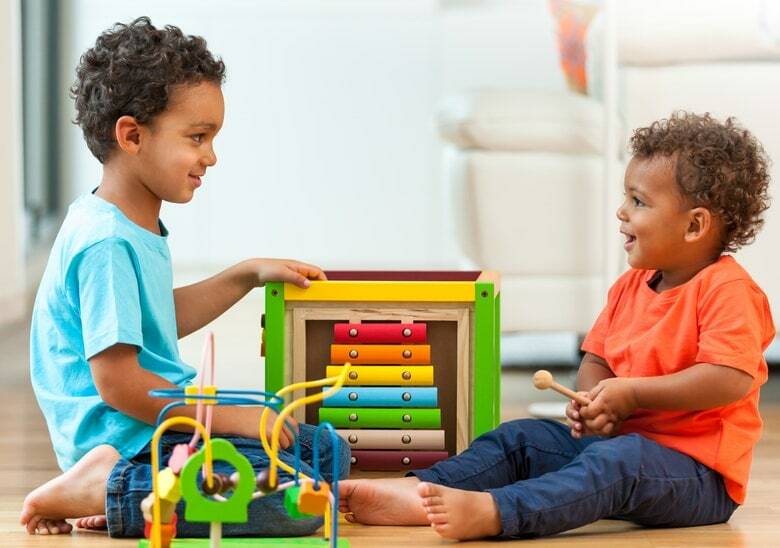 Can you give him his own stack of blocks to play with?” It is wonderful to encourage inclusion, help siblings learn to appreciate each other, and find ways to get along. Sometimes, though, kids don’t want the stress of a potential tower wrecking sibling. Some kids are introverts and need time alone every day. Some kids just want to know that you will listen to them and respect their desires. In these cases, we have to respect their autonomy. 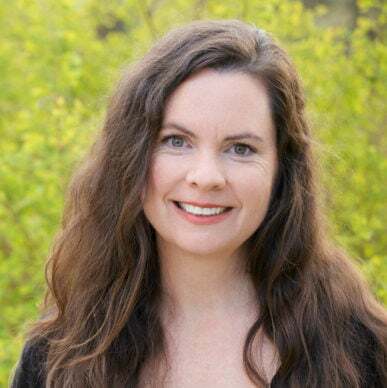 When we have control over ourselves and our belongings, we can give them freely without anxiety and without the need to fight for what is ours. Try this instead: listen and respect your child’s desire for autonomy.